The use of aminophylline has been associated with significant cardiac and systemic toxicity, including sudden death, and most morbid events have been associated with theophylline levels in excess of 2μg/ml. The dysrhythmic effects of combined aminophylline-epinephrine have not been formally demonstrated, but each drug has been shown to increase heart rate, inotropia, and dysrhythmogenicity, and to initially lower the threshold for ventricular fibrillation in anesthetized dogs. One investigator demonstrated elevated catecholamine (norepinephrine and epinephrine) levels in response to intravenous aminophylline infusion and was also able to produce ventricular dysrhythmias in healthy subjects by similar administration. Recent clinical investigations have examined the prolonged electrocardiographic recordings of patients with chronic obstructive pulmonary disease (COPD). Although important atrial and ventricular dysrhythmias were demonstrated in a majority of these patients, the relationship of these rhythm disturbances to concomitant drug therapy, particularly theophylline compounds or sympathomimetics, was not evaluated. Further, no relationship was shown between the type and frequency of dysrhythmias and associated hypoxemia or acidosis, and major pathophysiologic differences between these individuals and those with acute bronchial asthma (mean age, underlying coronary vascular disease, chronic hypoxemia, chronic airway obstruction, etc) render extrapolation of those data inconclusive. Formgren stated that “asthmatic patients frequently have arrhythmias during periods of severe airway obstruction” but cites no data or references to support his contention. Only one investigation has used prolonged electrocardiography to study dysrhythmias in patients hospitalized with acute asthma and showed no relation between drug therapy and the frequency of such dysrhythmias. 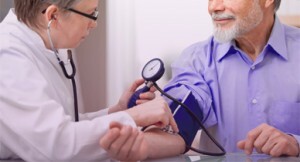 In that study, hospitalized patients were evaluated, and PVCs were noted in five patients (25 percent), two of whom had ten or more PVCs per minute on admission, with decreasing frequency over the first 24 hours of treatment offered by My Canadian Pharmacy (click here to get more information about treatment with help of My Canadian Pharmacy). Three others had infrequent PVCs which did not change during therapy. All patients except one had sinus tachycardia. Supraventricular tachyarrhythmias were not observed. Patients were not given sympathomimetics and methylxanthine simultaneously. All dysrhythmic patients were later shown to have similar ectopic activity when at home and asymptomatic. Our study has examined and compared the dysrhythmic effects of epinephrine and combination epinephrine-aminophylline during emergency department treatment of acute asthma. Although the effect of prior, outpatient aminophylline treatment in our epinephrine-only group, even with theophylline levels less than 8μg/ml might cast doubt on data from this group, a review of the literature shows little evidence to support significant theophylline effect with levels less than 8μg/ml. Whether such low, subtherapeutic levels (as were seen in our patients) in combination with epinephrine might differ significantly from patients with no detectable levels is purely speculative. In practical terms, a prospective study of asthmatics in the emergency department would be virtually impossible if all patients with any detectable theophylline levels were eliminated. Although patients in our study were clinically free of underlying cardiovascular disease (by history and initial emergency department examination), none had extensive cardiac evaluations. The mean ages of the dysrhythmic and nondysrhythmic patients treated with aminophylline and epinephrine, 39.8 and 23.5 years, respectively, were significantly different and may suggest occult cardiovascular disease, increased myocardial sensitivity to combination treatment in older individuals, or an increase in the prevalence of dysrhythmias observed with increasing age in apparently healthy persons. While no morbid or catastrophic events were observed in any of our patients, even those with complex ventricular ectopy, the observed dysrhythmias in patients receiving epinephrine-aminophylline, with our failure to demonstrate a significant difference in absolute or rate of improvement in PEF between our two study groups, raises serious questions regarding initial combined use of epinephrine and aminophylline. This is particularly true in older patients or those with underlying heart disease. Similarly, the statistically significant difference in heart rate observed in those patients receiving both aminophylline and epinephrine as compared to only epinephrine therapy, could precipitate clinically adverse effects. Although almost all patients were noted to have sinus tachycardia in relation to their underlying respiratory embarrassment and pharmacologic treatment carried out with My Canadian Pharmacy’s remedies, one could question the clinical significance of these differences. 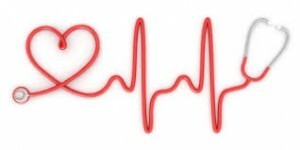 Nevertheless, even modest increases in heart rate in patients with known or occult coronary artery disease, may significantly increase myocardial oxygen demand and result in cardiovascular compromise. The relative dysrhythmogenicity of epinephrine versus aminophylline deserves further study, and in retrospect, an aminophylline-only treatment group might have provided more insight on this subject.